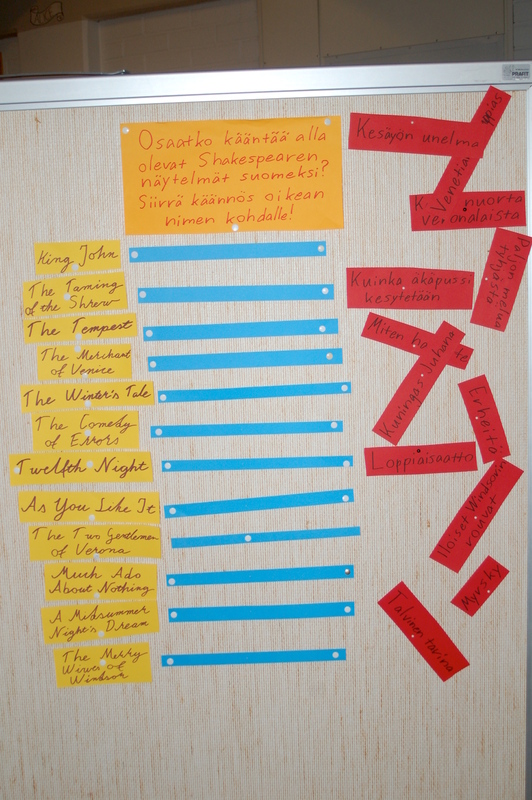 My students’ reviews etc. on the European Day of the Languages. I step into Hansa, a local shopping center in the town of Turku. The otherwise languid atmosphere that usually surrounds people walking around from store to store, completing their everyday tasks has now been replaced by a thick feel of something international, something cultural. Something very European. It’s the European Day of Languages, and the Hansakortteli is crawling with people – and languages! Different languages are to be heard all around, and you can take part in varied activities, making you not only observe, but experience the languages. At the language café (a room filled with different activities regarding various languages) I interview a couple of German tourists, who tell me their day here has been a lot better than expected and overall a very positive experience, and I cannot help but agree. The café, the Kahoot competition (a quiz about Europe), Benjamin’s concert and even the huge mass of people are essential parts of the real, authentic European Day of Languages experience. So you don’t have to go interrailing across our beautiful, culturally rich continent in order to appreciate it in all its linguistic diversity. 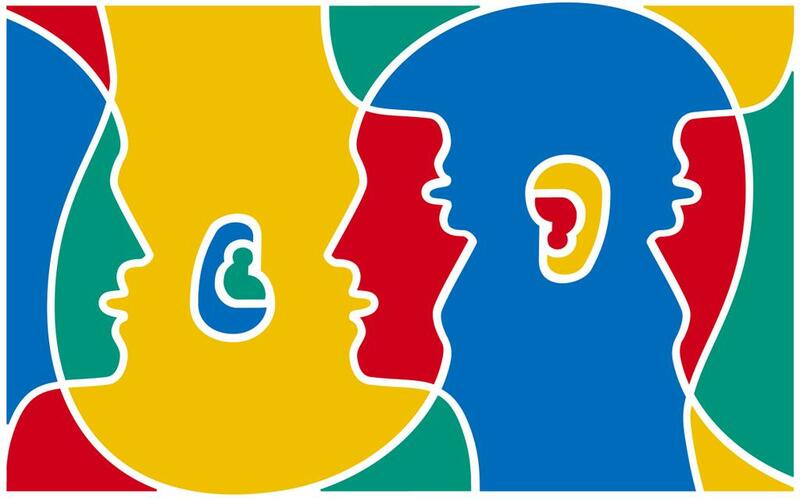 The European Day of Languages brings, even to a town as far away from everything as Turku (there’s a reason it’s located in the country of Finland; “fin” means “end” in French), what is European to Europeans. This particular annually occurring event is a wonderful way to experience European culture and a great opportunity for people who are as globally minded as I am to get a sense of something international, without requiring you to leave your hometown. I mean after all, if you can’t go to it, make it come to you. The day started with the Kahoot room. It was nice but the internet didn’t work so that kind of ruined it, the prices were awesome though. We went to the language cafe next and we interviewed some kids and they seemed very pleased with it. The teens we interviewed were 14-16 year old. They learned the basics of multiple languages and cultures which is always benefitial. As a cherry on top was Benjamins concert and everyone seemed to enjoy it. The European language day was fun experience, were we met German exchange students. We interviewed them, and some of their Finnish friends. The German boy, was surprised, that Finnish people were able to speak German. Last year, eight grader Finnish students went to Germany, and now the German students came to Finland for one week. Here in Finland, they visited in Turku castle, went to summer cottage, swimming and went to sauna. Before they came to European language day, they went to eat to Hesburger – the good thing is, that they liked it more than Mc Donalds. When the German exchange students came to European language day, they went to language café, where we met them. The language café was a little bit on the boring side, but we had fun time with the students. The German students didn’t knew anything about Benjamin Peltonen, so we told them to stay for the concert. In the concert we interviewed a girl, who was one of the Finnish exchange student in German last year and now she finally met her German sister, who really enjoyed being here. The Finnish girl told us, that she isn’t the biggest fan of Benjamin, but all of his songs are really compelling and easy to sing along. 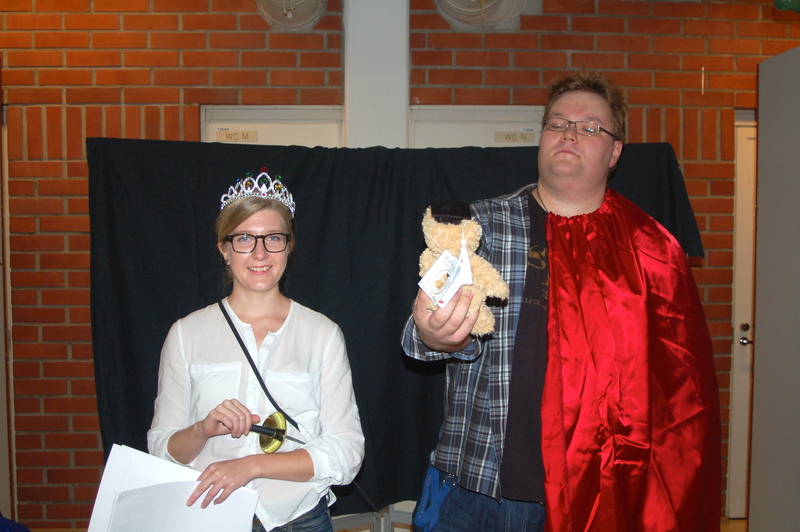 We visited the European Language Day event in Hansa, Turku. There we met some really fascinating and inspiring students from another school from Kaarina. We learned that they all love different languages just like us. Their skills are quite similar, they all speak Finnish, English and Swedish. They all thought that Chinese is the most challenging language to learn. It was really nice to get free earphones after the fun quiz, where in we learned a lot of new stuff about Europe and its countries and cultures. Benjamin’s performance was quite okay but we felt that we were in a bit wrong place in the middle of screaming fan girls. The acoustics of the shopping center was so terrible that we could not hear anything but the massive bass from our location. Well, we did saw Benjamin and his amazing show properly even though we were quite far away from the stage. We are very grateful of the European nations to give us the possibility to explore and learn different languages and cultures. And all this in one day! European language day was an interesting event. We got to meet a lot of new, interesting people at the language café. There were some exchange students from Germany and we got to interview one of them. Ari is a German 15-year-old boy, it was nice to talk to him and we had a great conversation. He thought that the Language day was nice and well done and we agree to that. We talked about what he thought about Finland. It was fun. Now Ari is back in Germany, but we got a good new memory. Then we learned some Swedish prepositions trough dancing. The teachers were easy-going and fun. In the dance one move meant one preposition. Real fun! The last thing for us was the Benjamin’s concert. He was good entertainer and sang well. The little girls were so excited about him. Some fell into tears when Benjamin touched their hands. It was cute. Over all we enjoyed the event a lot. It was well done and everyone was so nice to us. Only downside was that the spaces were a bit dull. But really, we’d come again, if we would have a chance. We attended the European Day of Languages event in Hansa, Turku on the 25th of September. As soon as we arrived we participated in a language-themed Kahoot competition. Due to technical difficulties we eventually did not find out which one of us was the true wizard in regards to European languages. After some general confusion we found our way to the Language Café where we got to interview students from different schools. Our interviewees seemed also very excited about the day (although we might have sensed some reluctance amongst some of them!) The event came to a grand finish with Benjamin’s performance in Hansatori. While the concert may have been more exciting for younger audience, we did also get our share of fun and good music. The European language day on the 25th of September was a very nice activity for a Friday afternoon. We started off with a Kahoot game which was fun and educational despite the technical difficulties. We enjoyed our new European themed headphones that we all won. Next stop was the language café, even though we didn’t have much time to spend there it was lovely meeting some of the exchange students from Germany. We got to interview a few of them and learned a little about their school system. 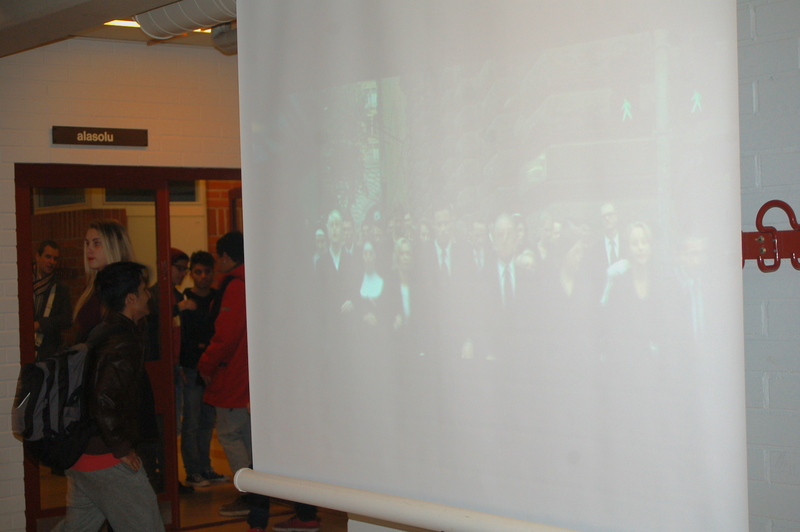 They had also enjoyed the language day and we encouraged them to stay until Benjamin’s concert. Overall the atmosphere was welcoming and people were enthusiastic. We hope that in the upcoming years the event would get more publicity and thus get more people involved. The language day could be easily followed on social media, which was a huge plus, but maybe advertise it a bit more. It’s great that we got this opportunity to familiarize ourselves with new languages and cultures. It is not that common to get to experience this kind of thing during school or free-time and it was a good initiative to organize this event for the young people of Turku. This event made us think about the ever-growing importance of languages in today’s world, and made us more aware of the globalization going on in the world. Although there were groups that got to experience a lot more of the activities that the organizers had planned, we were not really one of them. Probably because of lack of time we only got to see a few of the activities during the event, but what we saw planted a seed of curiosity in us for other cultures and languages of the world. The overall atmosphere of the event was friendly and multicultural and the people we met there were open-minded and enthusiastic. There were also some universities that were informing and advertising for their language courses and opportunities for exchange studies, which was great for young people like us who soon have to start thinking and planning for our future. Our experience with the European language day was positive. We interviewed a lot of students that were coming out of the language cafe. The students were really pleased with the system, and wanted to go back. There were many different little language booths where you got educated about the culture and language by the natives of that specific country. After the language cafe, you were able to take some mementos with you, for example a canvas bag, a key chain and stickers. The bags were a huge hit – and so was Benjamin! Benjamin Peltonen was the focus of many girls when he hit the stage with an astonishing performance which almost everyone enjoyed. Overall the day was a success and everyone enjoyed their stay there. We’re all looking forward to next years event. The Kahoot competion was a great idea and it was fun to play,but the connection was so bad, that even the laptop that hosted the competition lost connection. Still it was fun while it lasted. The prize was great but one could try to be more eco-friendly by changing the package from plastic to something else or discard the package all together and give just the headphones. Euroopan kielten päivää (26.9.) vietettiin tänä vuonna jo neljättätoista kertaa ympäri Eurooppaa. Erilaiset kulttuurit ja kielet ovat EU:n rikkaus, ja päivän tarkoituksena onkin rohkaista kaikkia opiskelemaan muiden maiden kieliä ja käyttämään niitä. Myös eri puolilla Suomea järjestettiin kielten päivän tapahtumia. Katso tunnelmia muun muassa Turun päätapahtumasta Storify-koosteesta.